World Leaders in Volatile & Semi-Volatile Organic Compound Analysis through Whole Air Monitoring, Canister Sampling, Thermal Desorption, and Headspace Analysis. Chemical airborne vapors from man-made sources constitute a major human health hazard, as well as having adverse effects on the Environment as a whole. More and more attention is being given to monitoring levels of volatile chemicals from PPM (part per million) down to sub-PPB levels, as chronic exposure even at low levels may lead to a number of different health conditions, including cancer. Entech enables regulatory agencies and environmental companies around the world to sample, quantify, and determine the sources of hazardous chemicals. 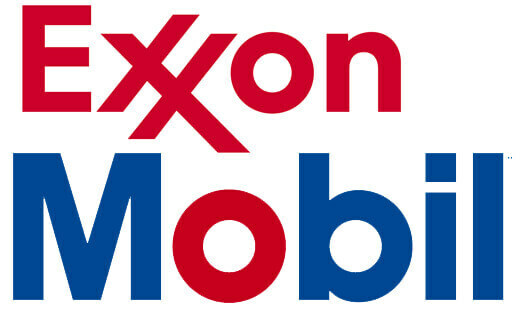 Chemical exposure levels are rising. An average human breathes 2 gallons of air per minute which means around 3400 gallons of air each day. 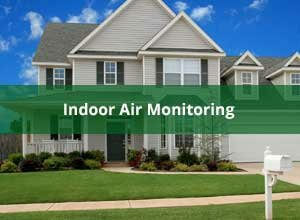 Indoor air pollution is 2-5 times worse than the air outdoors? 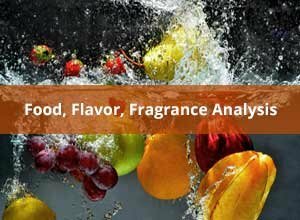 Taints, odors, flavors & fragrances. Faster matrix to phase equilibrium. What are you breathing in your car? According to a study done by the Harvard Health Watch, an average American spends 101 minutes per day driving. That means that in a lifetime, an average Joe spends a whopping 37,935 hours driving a car (assuming that s/he starts driving at 17 and drives until 78.7 years old). 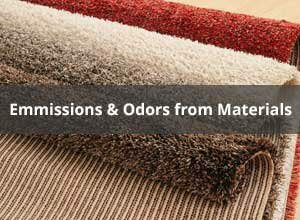 Chemical emissions from plastics, textiles, carpets, building materials, and any other natural or synthetic products all combine to add volatile chemicals to the air in indoor environments. As the understanding of how these chemicals impact human health continues to grow, the need for monitoring these chemicals and their rate of emission has become increasingly important. 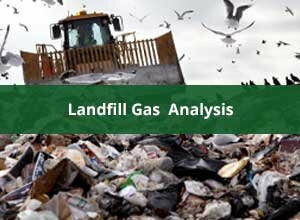 Entech enables manufacturers to test off gassing and product emissions before they reach consumers. Volatile siloxanes can cause considerable damage to power generation equipment through the build-up of silicon dioxide created from combustion at burners. 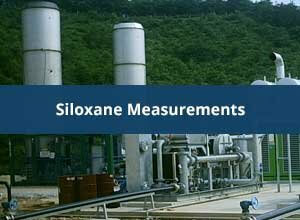 Siloxanes coat turbine blades and heat exchangers degrading performance and eventually causing failure. Due to their size (.2~3.0 nm), AMCs can pass through ulta-low particulate air filters. AMC’s are of great concern to any sensitive micro-electronics manufacturing process, especially in nano-technology applications. The number of chemical warfare agents (CWAs), not to mention toxic industrial materials (TIMs) is enormous. Responding to an unknown accidental or deliberate release of these compounds requires a universal sampling and analytical approach. 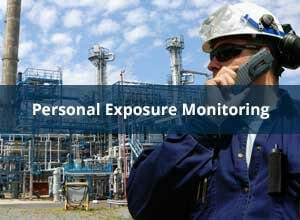 Portable instruments may not reach the detection limits required to identify these compounds. No one single adsorbent is capable of capturing the potential range of compounds that could be used in a terrorist event or an accidental release of unknown origin. Sampling and analysis of Chemical Warfare Agents has some unique challenges as many of these compounds have low vapor pressure, poor thermal stability, and high affinity to surfaces. Entech's new PCME (porous cartridge micro-extraction) Canister solves this problem by extracting the CWA fraction out of the sample during sample collection. Catching the bad guys just got easier. 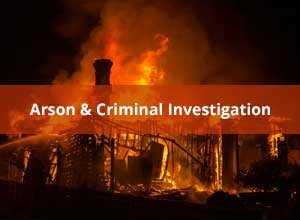 The detection of trace levels of accelerants during arson investigation, the presence of drugs of abuse, or simply the detection of a chemical signature of evidentiary nature is often limited by how well the chemical signal can be properly “amplified” to allow detection and identification by todays GCMS systems (Gas Chromatograph / Mass Spectrometer). This generally means providing a very large volume of sample to the GCMS to boost the signal, thereby improving detection limits. 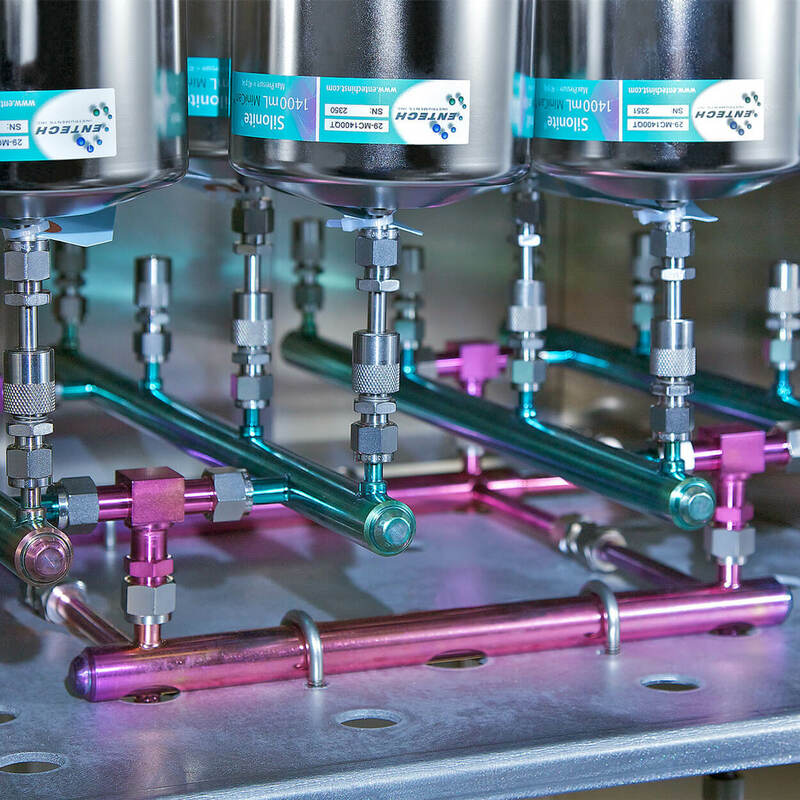 High resolution gas chromatography, however, requires a very small volume injection, as these columns are simply too narrow to allow more than 0.2–0.4cc of sample to be injected (typically 0.01 – 0.013” ID). 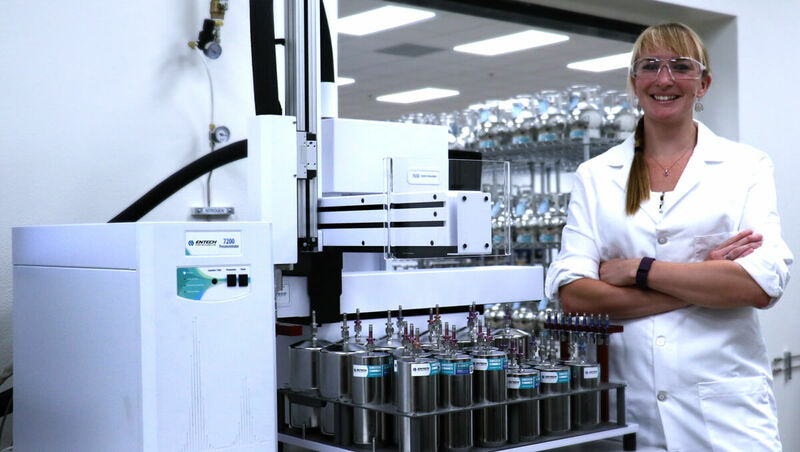 Entech has developed large volume preconcentration systems for decreasing the vapor phase volume 1 million fold, reducing a 1 liter sample volume down to literally 1 microliter to allow very rapid injection into GCMS systems optimized for trace analysis. Entech's state-of-the-art sampling and analytical products are the best solution for the collection and analysis of accelerants in debris. Utilizing the headspace method allows for a much faster analysis time over carbon strip transfer and solvent extraction and provides more quantitative recovery. Trace Chemicals on Clothing: Detection of chemicals on clothing, such as accelerants, can also be done by direct heating to 150˚C in 500-1000ml Vials. Breath testing is quickly becoming an important diagnostic tool to evaluate disease states. Metabolomic analysis of breath volatile organic compounds. With healthcare costs on the rise, a simple, affordable and non-invasive screening tool could have a major impact on diagnostics and early detection of disease and chemical exposure. Based on Entech's Ultra-Inert surface coating technology 'SiloniteTM,' Entech is working to develop breath samplers that can preserve Volatiles and Semi-Volatiles with minimal losses to enable an effective lab analysis model for patient screening. Entech's revolutionary new solid phase extraction technique called Vacuum Assisted Sorbent Extraction is set to provide researchers with quantitative data far exceeding the capabilities of traditional fiber based SPME (solid phase micro-extraction). See "Criminal Investigation" to learn more about breath based screening for drugs of addiction. Linearity and Precision beyond belief. Micro-QT Valves. Once you snap, you'll never go back! 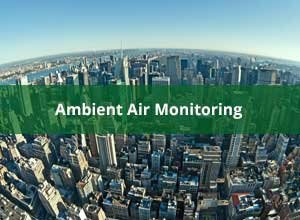 World Leaders in Air Monitoring, Canister Sampling, Volatiles & Semi-Volatiles Analysis. Entech is a manufacturer of air sampling canisters and GCMS sample introduction instruments for air and gas monitoring for numerous EPA Methods (TO-15 & TO-14A).